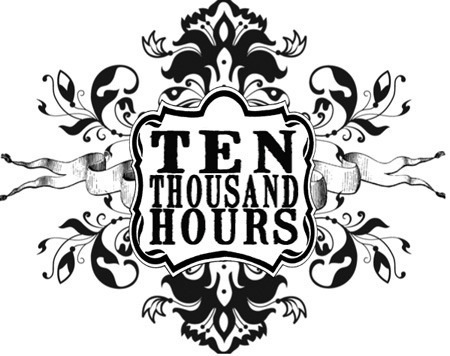 It’s a pretty well known fact that it takes 10,000 hours to become an expert at anything, and according to the expert research abilities of Malcolm Gladwell it takes about 10 years to achieve this many hours. Well, there probably aren’t many of us that have spent 10,000 focused hours doing anything but I started thinking we probably have. Let me take a step back for a moment to focused on that great pile of grey and white between your ears. Our brains consists of millions upon millions of connections like roads that are built and destroyed moment by moment. There are lightning fast changes being made all the time based on the things we think, the experiences we have, the food and substances we ingest, and any myriad of genetic predispositions we may have. This random bit of knowledge got me thinking about how many hours we spend doing things that strengthen connections we don’t want or that don’t serve us. 10,000 hours strengthening connections for complaining, bragging, making excuses, watching tv, beating ourselves up, etc… This then got me thinking about the best way to change all of this. After all, I don’t think most of us intend to be experts in putting ourselves down, it just seems to happen. Change is never easy, at times it seem antithetical to the human experience. Millions of years of evolution proved to us that when change arises many of us don’t make the cut, only the strong survive. So, in order to create this change in our own lives and not feel like a finch with the wrong beak length (Darwin in the Galapagos joke) we need to find ways to adapt. First, let’s find out what specific thing you want to master by setting some goals. You business majors may remember SMART goals, the gold standard for goal setting. SMART stands for Specific (what do you want, spell it out), Measurable (how will you know you are getting close to your goal, create a metric), Achievable (make sure this is doable but just challenging enough to leave you feeling accomplished), Realistic (does it make sense for your life), and Time limited (when can you accomplish this). Next, we may want to raise our awareness to the problems and solutions. In order to raise your awareness you need to look into mindfulness. The more you can exist in the hear and now the more likely you are to change and shape your future. That may seem a little strange but you create your future every moment. If you aren’t fully in that moment your future won’t fully be what you want. Then finally, tenacity, this is huge. We will always fall and make mistakes in our journey toward 10,000 but remember practice makes permanent. The more you practice the way you want things to be done the easier it will be to do just that. On your wonderful journey always remember to keep going. Thanks for the picture inkstained on we heart it, it was just perfect.